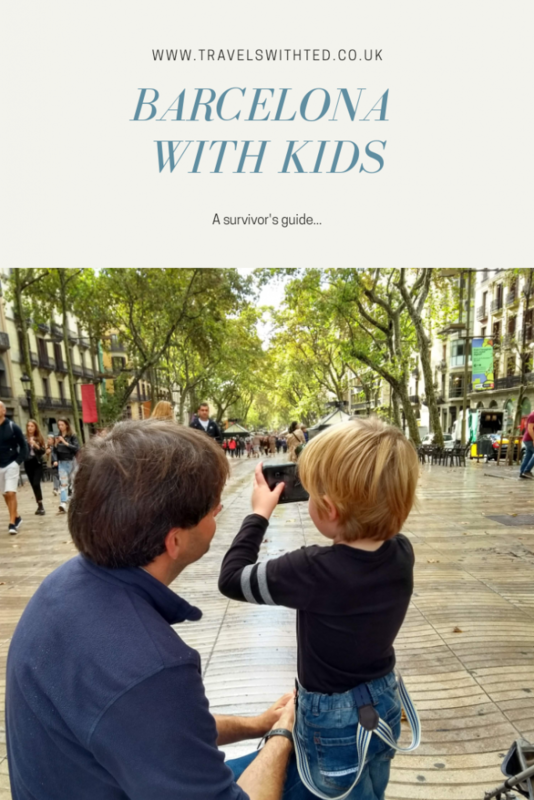 If you are expecting a magic formula for conquering Barcelona with kids then I’m afraid you are in the wrong place. The key to travelling with kids is always flexibility. Things don’t always go to plan. They have bad days. You have bad days. Does this mean that Barcelona with kids was a bad idea? Is any city break? We pondered this question for five days and concluded that it was worth it. We have experienced one of our bucket list destinations and all four of us loved it. Well most of it. I am going to write a few shorter guides to some of the bigger sites. 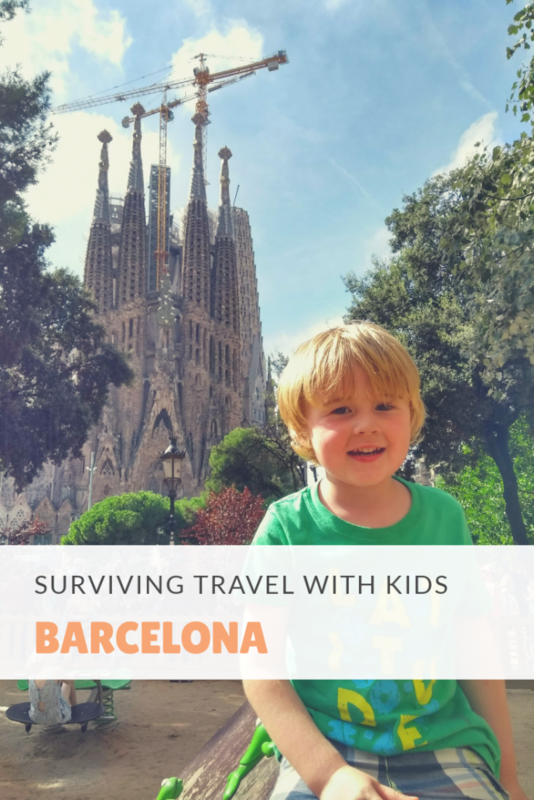 This is an overview of why you can and should take on Barcelona with kids. I have divided it into two parts. Click here to skip straight to part 2 which includes the Sagrada Familia. This was the first time we had flown with both children so I was a little apprehensive. That bit went as well as it could have done. Finding our accommodation was not quite so straight forward. Do not trust Google to take you to the right location. Our two-storey, four-bedroomed apartment featured marble floors throughout. We spent many happy hours people watching on our balcony. The apartment was close to the Arc de Triomf so we made visiting it our mission for the afternoon. We had already passed by without looking in that direction. The huge red-brick structure should have been hard to miss. It was in front of the Arc that we encountered our first bubble man. They became a feature of our trip. The bubble men are street entertainers looking to make a quick Euro from excitable children. 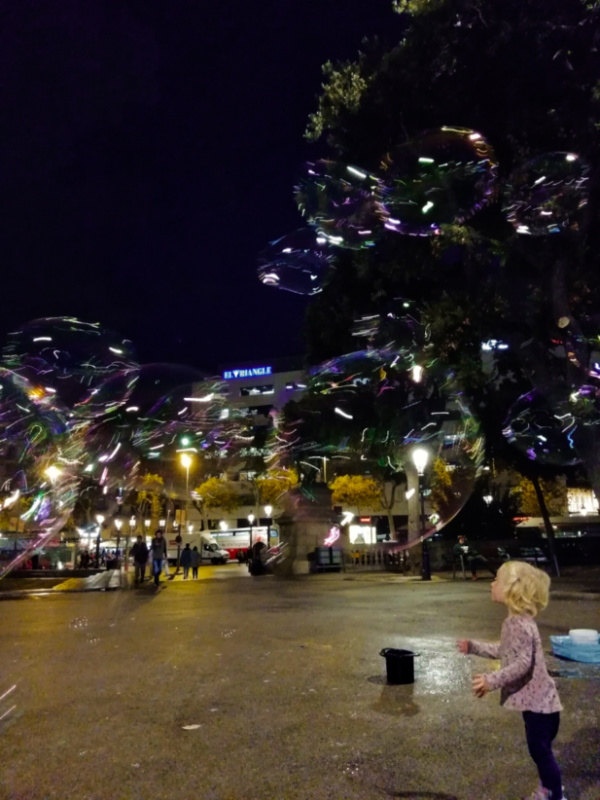 We met bubble man number two in Plaça de Catalunya later that evening. Night time is when Barcelona really comes to life and we were fortunate to be out after dark a few times. On day 1 we wandered through Plaça de Catalunya after dinner. The fountains had been switched on and there were fewer people about. I’m a sucker for a bit of opening night magic and this place had it. That was until Ted fell over chasing a bubble and gave himself a fat lip. 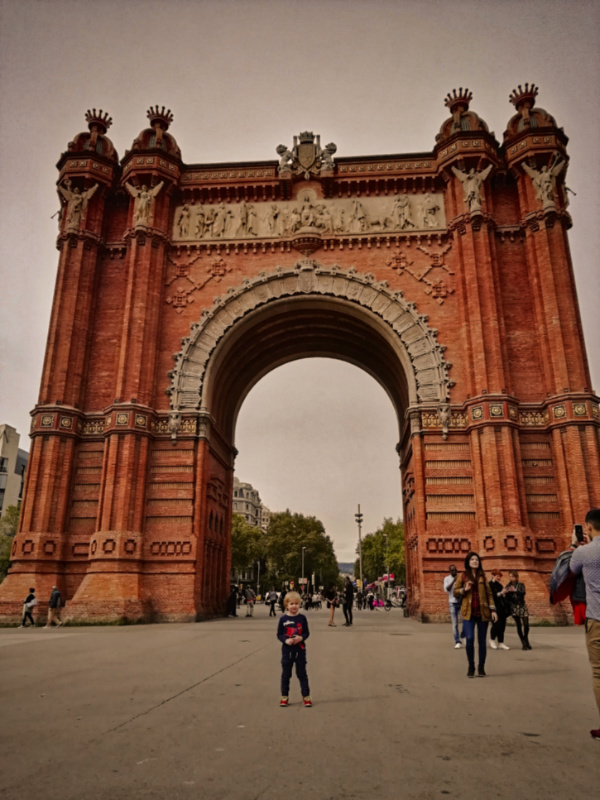 The Arc de Triomf is worth meandering by if you are in the area. It’s outside Ciutadella Park (see day 3) and not far from Plaça de Catalunya. 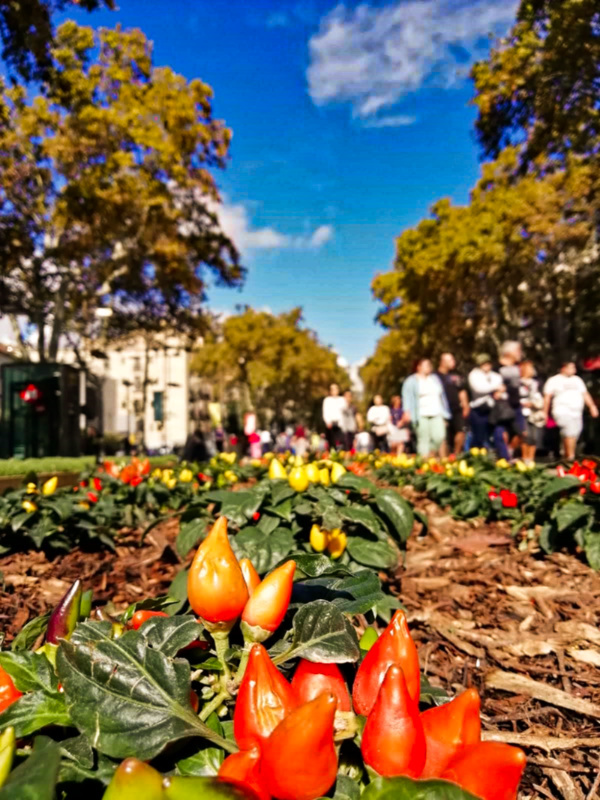 You probably won’t be able to miss Plaça de Catalunya. It’s situated at the top of Las Ramblas and it’s where the airport bus drops you. We think this square (circle?) is worth a visit for the fountains. Having said that, beautiful fountains are abundant in Barcelona so you won’t have missed too much if you don’t pass through or they are switched off. We had a slow start to day 2 because some spectacular thunderstorms passed overhead. Our loose plan for our first full day was to take it slow. 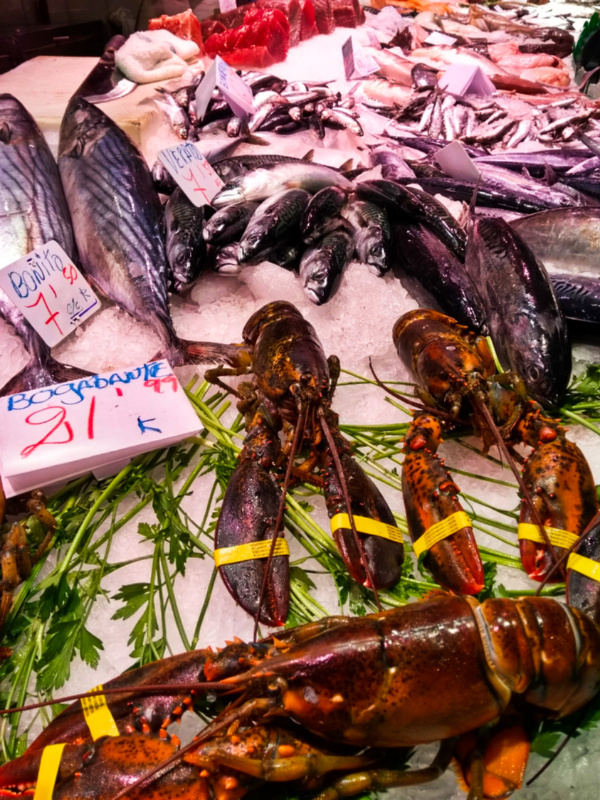 I wanted to walk down Las Ramblas and visit Mercat de la Boqueria. We were pleased to realise we were within walking distance. We were prepared for Las Ramblas to be a tourist trap and sure enough it was dominated by souvenir stalls on either side. David managed to steer Ted past the miscellaneous tat with only a minor tantrum. The architecture along the pedestrianised, tree-lined avenue impressed David and I.
I was worried that Mercat de la Boqueria wouldn’t live up to expectation but it delivered. Was there beautifully presented fresh foods? Yes there was. Was there all the colours of the rainbow? Yes there was. Was I in market heaven? Yes I was. The children were not quite as impressed. May fell asleep on David’s back. Ted complained until we bought him a cup of strawberries. I also picked up one of the best smoothies I have ever tasted and some delicious pastries for lunch. We went back the next day to try to replicate our success but it wasn’t to be. The pastry stall hadn’t opened yet and the smoothie I purchased from another stall wasn’t up to the mark. We had a quick meander through the Gothic Quarter (wow) and then turned into the blinding sun to reach the bottom of Las Ramblas. Here we found two things we did not expect. One was an area of flower beds mostly filled with edibles. These had the gardener in David salivating. The second surprise was a column akin to Nelson’s. In Nelson’s place Columbus was perched on top pointing the way to the new world. Or not. The new world is actually in the opposite direction but I suppose it wouldn’t make much sense for him to be pointing inland. Beyond Columbus was the Mediterranean. 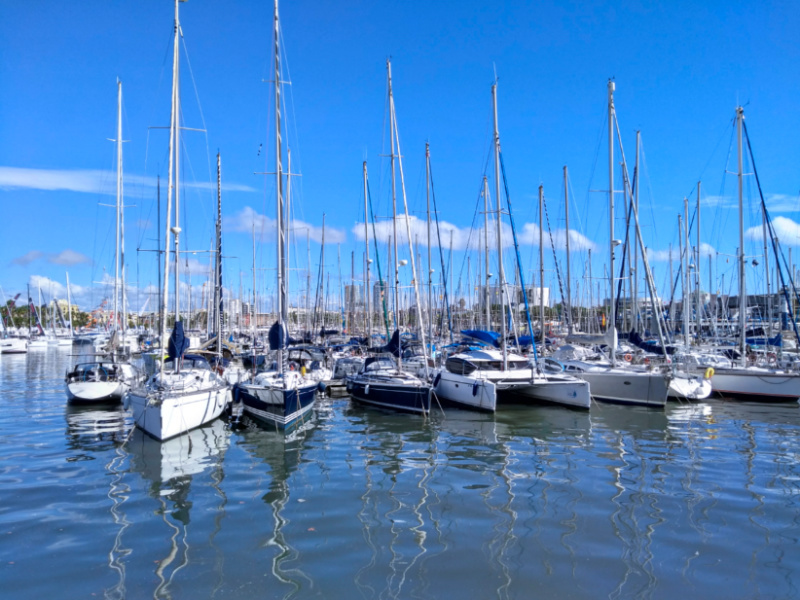 Several boats were offering trips out to see the Barcelona skyline so we jumped aboard. In the few moments where we weren’t preventing the children from throwing themselves overboard we were able to catch our first glimpse of the Sagrada Familia. Once we returned to dry land we headed to the beach. A poor sense of direction and a boat show meant another long walk. The beach itself was ok but the golden sands I have seen in pictures were absent today. More thunder threatened and after a quick paddle we were ready to move on. Our gentle introduction day to Barcelona wasn’t finished here. With the kids asleep we set off around the edge of the zoo and into the Ciutadella Park. We didn’t realise at the time but the golden monument/fountain was a Gaudi creation. Unfortunately it was looking less impressive due to the industrial fencing surrounding it while repairs are taking place. This park also featured a mammoth, boating lake and no less than three bubble men. Aimlessly wondering about didn’t really work for the kids. Shame because Las Ramblas, the Gothic Quarter and many other neighbourhoods are made for rambling. If Ted had been a little older and/or a little more in the mood he would have loved the Mercat de la Boqueria nearly as much as I did. We were surprised by what good value the boat trip was. This kids were free and we got to see some unique views. If you’re in Barcelona with the kids then it’s worth making more time for the beach and Ciutadella Park than we did. Both were great. We planned a day at the Sagrada Familia as more thunderstorms were forecast. However, when I went to book tickets there were none available. Fortunately the storms came and went early anyway. Instead we were indecisive. The kids were still visibly tired from the previous day, adding to our indeterminacy. We eventually decided on the cable car across the harbour. We were first on so we snagged the best spot. The ride gave us some incredible views of the city. The cable car did not however take us to the top to Castell de Montjuic. A second cable car was required for this. After a toddler tantrum and a cute baby instashoot we sat down to assess our options. We decided a slow walk back to our accommodation with treats along the way would be best. The kids needed a lazy afternoon in front of Spanish TV. Of course the kids were going stir crazy in the apartment by early evening so we ended up tracking down a local play area. It’s so hard not to push the kids too far, especially if you have limited time. More fun will be had by everyone if they are well rested. There is always a play area around the corner in Barcelona. That’s it for part 1, part 2 can be found here. 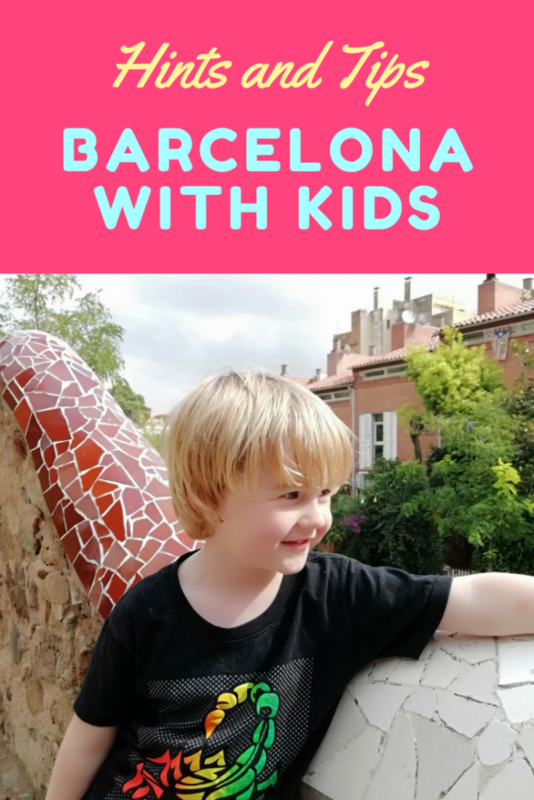 Keep an eye out for more hints and tips for Barcelona with kids. Great post and tips. I agree with the last comment — your posts are honest and helpful which is golden for traveling families. Great tips! So helpful having first hand experience from others to go off of. Spain is ALWAYS on my radar! Never been to Barcelona with kids, I am sure they would love it though. I agree that sometimes we try to cram so much in and kids tire much quicker and complain more! Great post! It was so helpful. I’d love to take our daughter to Spain soon and will refer back to this post when we do! Love Barcelona although my husband did get food poisoning when we last went! We’ve never visited with my daughter but your pictures have got me itching to go back! 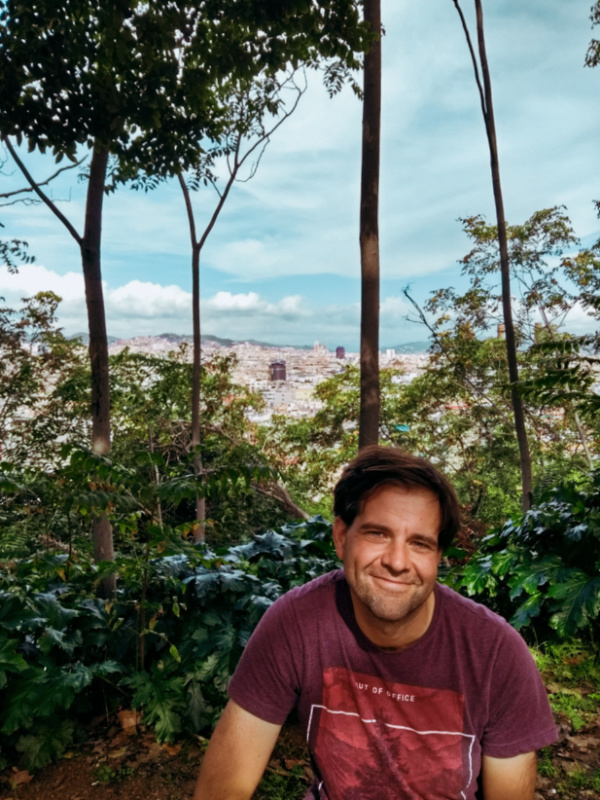 Barcelona is a great city! I cant wait to take my kids! Barcelona also delighted us with its sites and beautiful colors. The people are so warm and the food is so good.